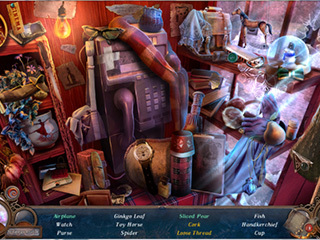 As you explore the game, you interact with different characters and you have a choice of answers - nice or sarcastic. The story goes back in time when twenty years ago, you played hide and seek with your brother and other firends. An orphan girl suggested it along with reading her poem rather than just counting. The words of the poem describe a fog and that you disappear after ten, but nobody expected that those words actually come true as you finish. A fog came down and all the children but you disappeared. Your father headed out to look for your borther but never came back. You mom took you away from that place, and now she's gone. You suddenly find evidence that you father has been alive all this time and you begin to wonder what actually happened back that. As you explore the game, you interact with different characters and you have a choice of answers - nice or sarcastic. They impact the development of the story as there's a built-in karma system. Not only you have many collectibles to look for, and interact with different items, you are to learn to use a scar that you have since that day. 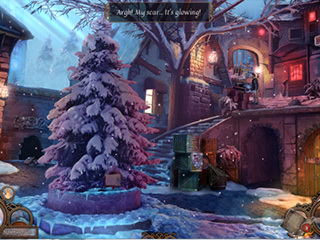 The hidden object scenes are very interactive and usually have a morphing object. The mini-games are fun? entertaining and not very challenging. The game is full extra stuff and rightly desrves to be a CE. Check this one out for yourself, you will most probably not be disappointed if you a fan of the genre. This is Rite of Passage: Hide and Seek review. Download this game here.